There are a great many number of high-tech gadgets and they are available every corner of the world. With different features and operating systems, the gizmos solely target and focus upon the entertainment factor of the buyer. And to keep you entertained even on the go, iPods are just the apt ones that you will love to carry. Apple brand is the first ever innovator of these devices and has started a new age of music portability. These hippest media players generally lure the music lovers with their coolest features and hot and happening looks. And when you delve deep into their variety, you will get to know about four high up types of these music players. And they are- iPod Shuffle, iPod Classic, iPod Nano and iPod Touch. Without an iota of doubt, these are meant to fascinate you with their breathtaking features. 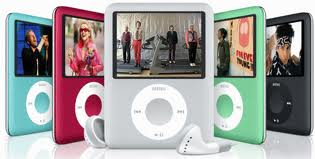 The most affordable iPod belong to the Shuffle herd whereas the costliest ones belong to the throng of iPod Touch. Shuffles are generally manufactured with 2GB of storage capacity and house battery of up to 15 hours lifespan. Simple patterned controlling options will never make you confused. The most enticing fact is that these types boast Voice Over feature to answer you when you want to know the detail of the song streaming at that moment. It also asks for charging when its battery runs out of power. Interesting! Yet the most popular tag goes to iPod Classic as it provides a grand memory capacity of 160GB. With this tech-wonder, tap your feet, groove with the rhythm of your favorite songs all through and up to 36 hours. Ah! Now you know why they are so popular right? Well, iPod Nano doesn't render any less and offers 24 hour long nonstop playback capacity. With small and smart carcass and multi-touch display, these devices look extremely pretty on palms. Both 8GB and 16GB storing capacity are available with them. You just have to choose according to your personal preference. And when you crave to get a hold of something laden with extremely advanced features, then the latest iPod Touch is absolutely your ‘type’. 8GB, 32GB and 64GB of storage capacities are available with the Touch models. Now, you can also hoard your desired games right in these gizmos. When it comes to feature packed performance, they come up with Face Time, Retina Display, HD Video Recording and Editing, Game Center facilities along with playing soothing music tracks. Simply mind-blowing! Isn’t it? The more technologies are originated, the more exclusivity rain over these music players. Apple has brought the 4th generation machinery in their iPod Touch versions. Of course, if you consider the originality of the brand, there’s no other one that can beat its reputation in the market. That’s the main reason why people dream to have one at least one bite of this Apple; they fancy to bag at least one of its music player types to flaunt. True, main obstacle in buying one such product is the up soaring range of Apple iPods Prices. But seriously, when you want to please your ears and long for the melodious aura all around your senses, then these gadgets are the worth buying music players that can quench your music thirst so far. It is said, “An apple a day keeps the doctor away”. With these world’s best music players, you keep boredom far-flung away! This is a guest post from Aahna Gaur who works with naaptol.com. 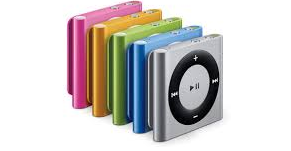 Naaptol is a online shopping website that helps users to find the best Apple iPods Prices.